This statistic presents the influence of interactions with favorite brands on social media on the buying behavior of internet users in the United States as of September 2014. 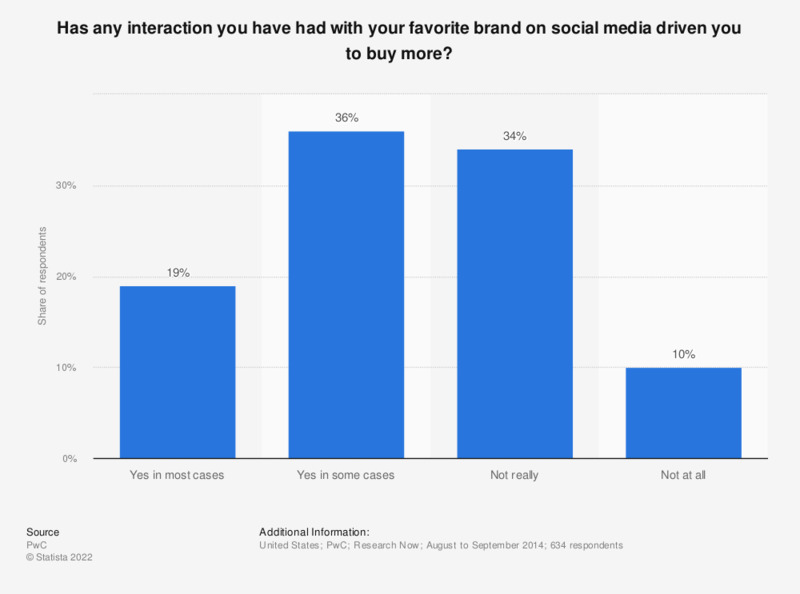 During the survey period, 19 percent of respondents stated that in some cases they were driven to buy more because of the interaction with brands on social media. Original question: "Has any interaction you have had with your favorite brands on social media driven you to buy more?"